As one of the most experienced turfgrass agronomists in the UK, Mike has a wide knowledge of sportsturf development and improvement. He has been the lead designer/agronomist in the development of numerous premier league stadia pitches and training grounds including the Wembley Stadium pitch redevelopment in 2010, construction of pitches at the Macron (Reebok) Stadium, Stadium of Light, Park, Etiad, Doncaster, Swansea, Villa Park, Deepdale and many others. Mike has also been the lead agronomist/designer for major training facilities including those for Blackburn FC, Bolton FC, Derby County FC, Liverpool FC, to name a few. 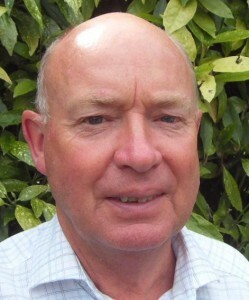 Mike has for many years acted as consulting agronomist for over 50 of the UK’s major racecourses including Aintree, Newmarket, Kempton Park, Epsom and Huntingdon. Mike is a founder member of RIPTA and is currently a Director of Professional Sportsturf Design (NW) Ltd, a member of the Labosport group.